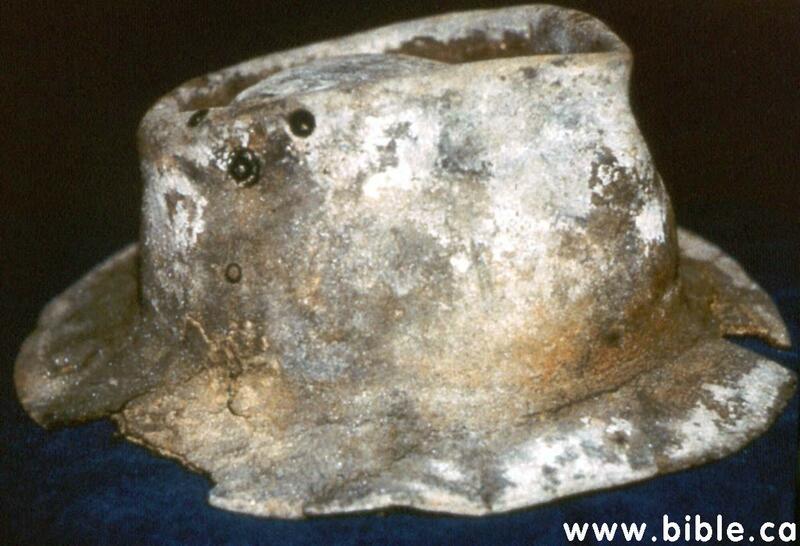 Is this a cave man's "hard hat"? Everyone has heard the story. "We know absolutely for certain, it takes millions and millions of years for fossils to petrify." It's so obvious that no proof is necessary and of course no witnesses verify. The claim is just repeated over and over. So we hear, "Everybody knows that." Oh yea? 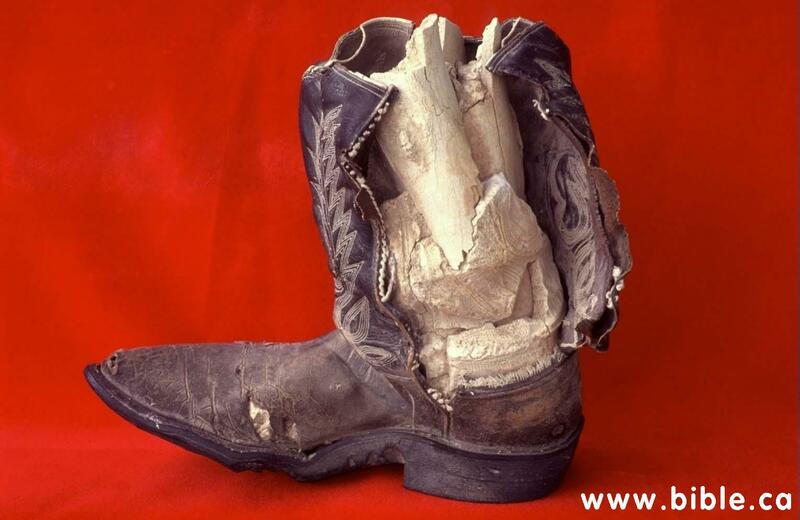 How old do you think this boot could be? Millions and millions of years old? I suppose it could be made from T. Rex skin. Do you really think so? 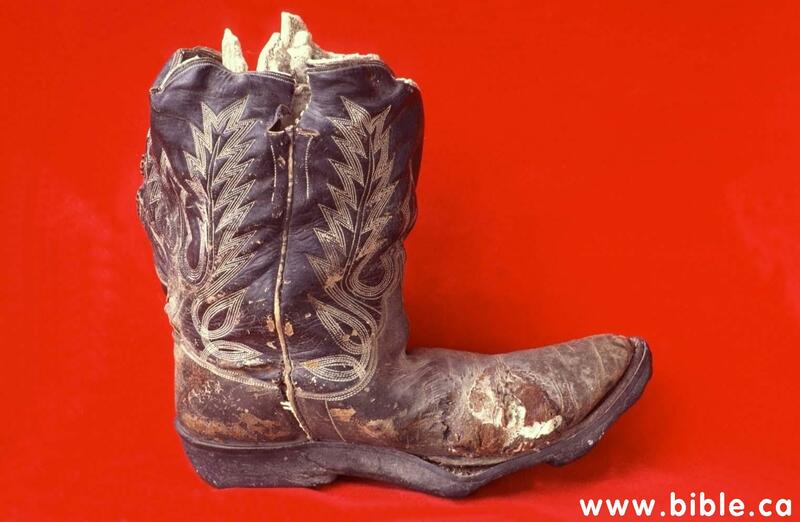 The rubber-soled boot with petrified cowboy (human) leg, bones and all was found in a dry creek bed near the West Texas town of Iraan, about 1980 by Mr. Jerry Stone, an employee of Corvette oil company. The boot was hand made by the M. L. Leddy boot company of San Angelo, Texas which began manufacturing boots in 1936. Gayland Leddy, nephew of the founder, grew up in the boot business and now manages Boot Town in Garland, Texas. He recognized the "number 10 stitch pattern" used by his uncle's company where he worked for many years. Mr. Leddy believes the boot was made in the early 1950's. 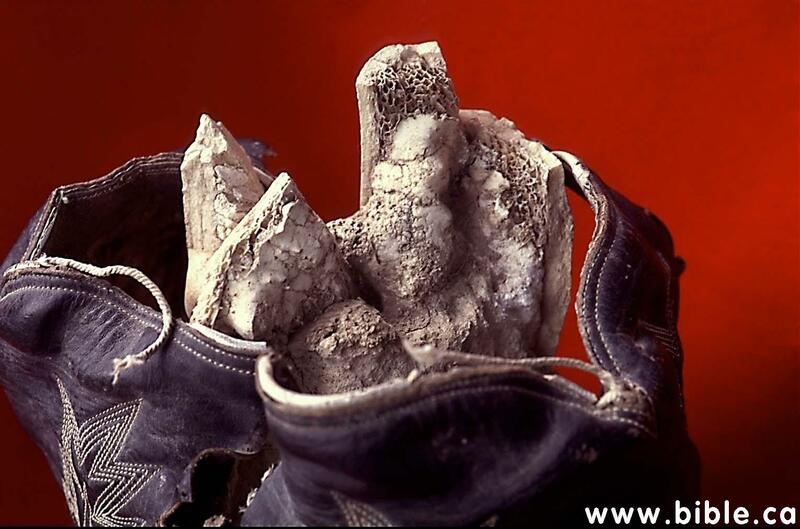 Only the contents of the boot are fossilized, not the boot itself, demonstrating that some materials fossilize more readily than others. The bones of the partial leg and foot within the boot were revealed by an elaborate set of C.T. Scans performed at Harris Methodist Hospital in Bedford, Texas on July 24, 1997. The Radiologic Technician was Evelyn Americus, AART. A complete set of these scans remains with the boot at the Creation Evidence Museum in Glen Rose, Texas. The fact that some materials can fossilize rapidly under certain circumstances is well known by experts in the field and is not really a scientific issue. However, the general public has been misled in order to facilitate the impression of great ages. The dramatic example of the "Limestone Cowboy" immediately communicates the truth of the matter. 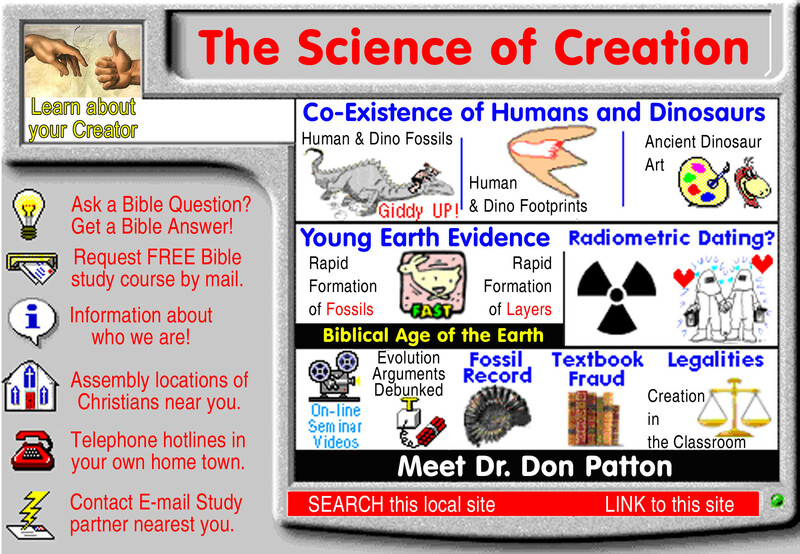 Fossilization proves nothing about long periods of time.